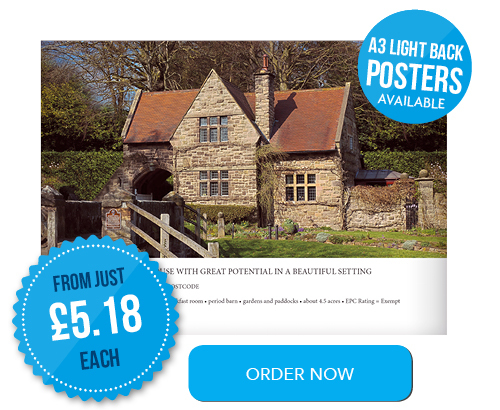 ARE YOU AN ESTATE AGENT THAT NEEDS NEW LIGHT BACK POSTERS FOR YOUR SHOP WINDOW DISPLAY? If you want your shop window to stand out from the crowd and make an impact, why not try our light back posters to do the job for you. Standard sizes at A3 and A4 can be ordered but if you require a specific size we can do that too! 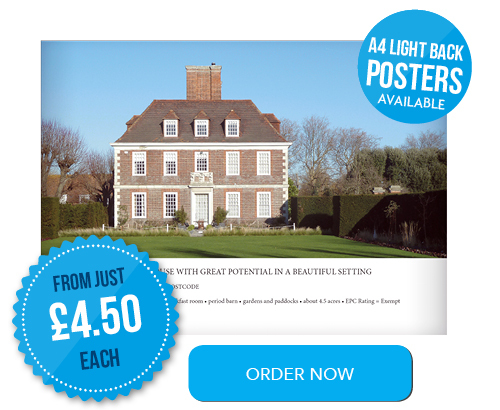 All of our light back posters are printed on premium backlit material with high anti-static properties. Once printed, we will even post them to you free of charge! No hassle, no fuss. All you need to do is decide what size you want, input your quantity and upload your artwork before adding to your cart. Go to checkout and then sit back, relax and we’ll update you via email on the status of your order. Order Light Back Posters Now!